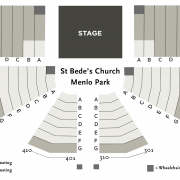 Based in the San Francisco Bay Area, Music@Menlo presents its acclaimed chamber music concerts in several unique and intimate concert spaces located in Atherton, Palo Alto, and Menlo Park, California. 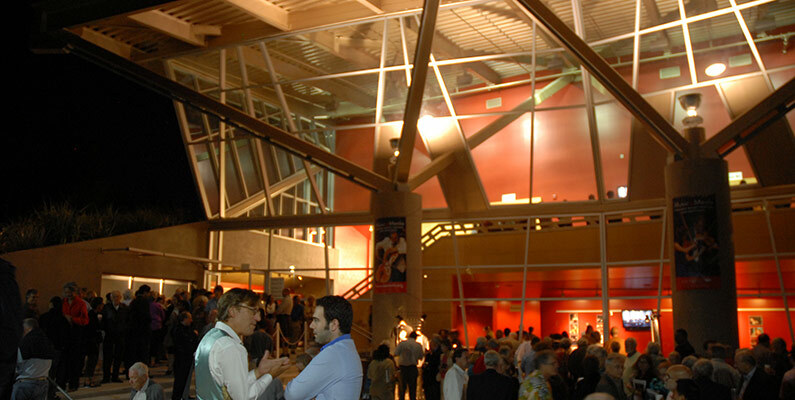 The Center for Performing Arts at Menlo-Atherton, at 555 Middlefield Road in Atherton, was completed in 2009. 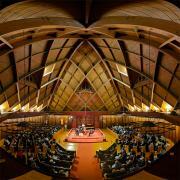 It is a state-of-the-art concert hall that is acoustically ideal for chamber music. With an architectural design inspired by the neighboring oak tree grove and an intimate interior, the 492-seat hall is located in close proximity to downtown Menlo Park on the campus of Menlo-Atherton High School. Stent Family Hall, located at 50 Valparaiso Avenue in Atherton, on the Menlo School campus, is, in the words of one festival artist, “one of the world’s most exquisite chamber music spaces.” The hall’s elegant Spieker Ballroom, with seating for 148 guests, provides a listening experience in the intimate setting for which chamber music was intended. 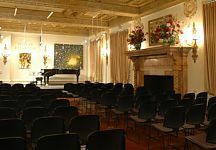 Martin Family Hall, located at 50 Valparaiso Avenue in Atherton, is Menlo School’s versatile 220-seat multimedia facility. 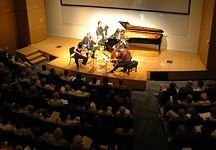 It offers up-close enjoyment from every seat for festival events such as Encounters and select Prelude Performances, master classes, and Café Conversations. St. Bede’s Episcopal Church, located at 2650 Sand Hill Rd, Menlo Park, is a lovely 312-seat venue, adorned with arched wood ceilings and stained-glass windows. It offers exceptional acoustics and a visually appealing setting with traditional wooden-pew seating.